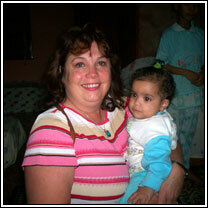 Our work with orphans in the Middle East has touched thousands. Our efforts have bridged cultural and religious gaps in a unified effort to bring smiles to little faces. Our travel to sacred sites, energy sites and places of religious and historical significance has taken us to Egypt, Jordan, Greece, Italy, France, England, Peru, Chile, Easter Island, Canada, Hawaii, Australia and soon to Israel, Scotland, Thailand and Cambodia. In each placement we are messengers of peace and unity, committed to the purpose of bridging the cultural, religious and political gaps that separate the collective family of sentient beings. Please read more about our global work at SerenityTravels.com.